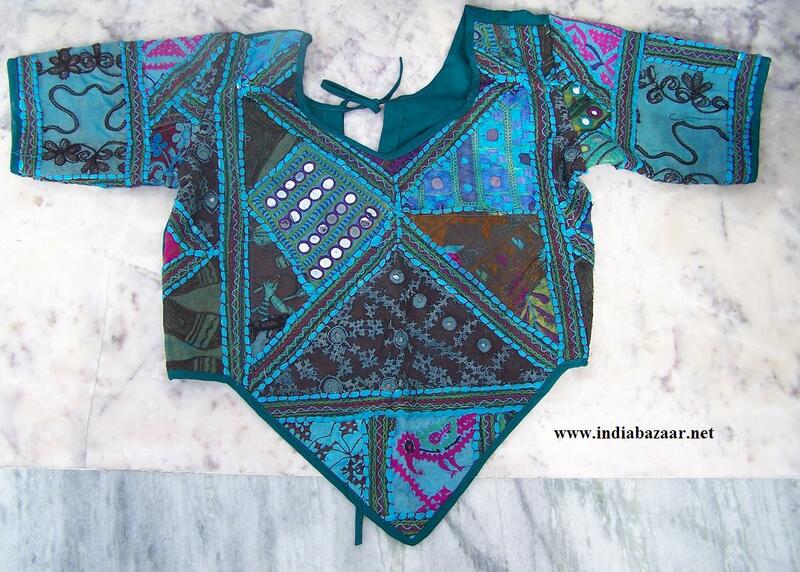 Tribal gypsy choli from Rajasthan, India You can suggest base color of choli. We design custom makes this belly dance choli with any color choice. This costume will be made to order with your size. no extra charges for plus size.